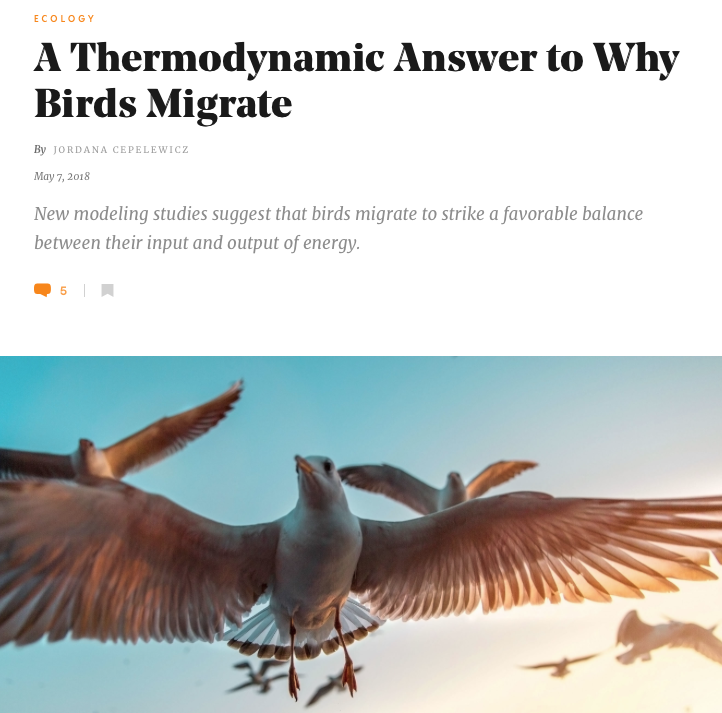 Revell C & Somveille M (2017) A Physics-inspired mechanistic model of migratory movement patterns in birds. Scientific Reports 7:9870. 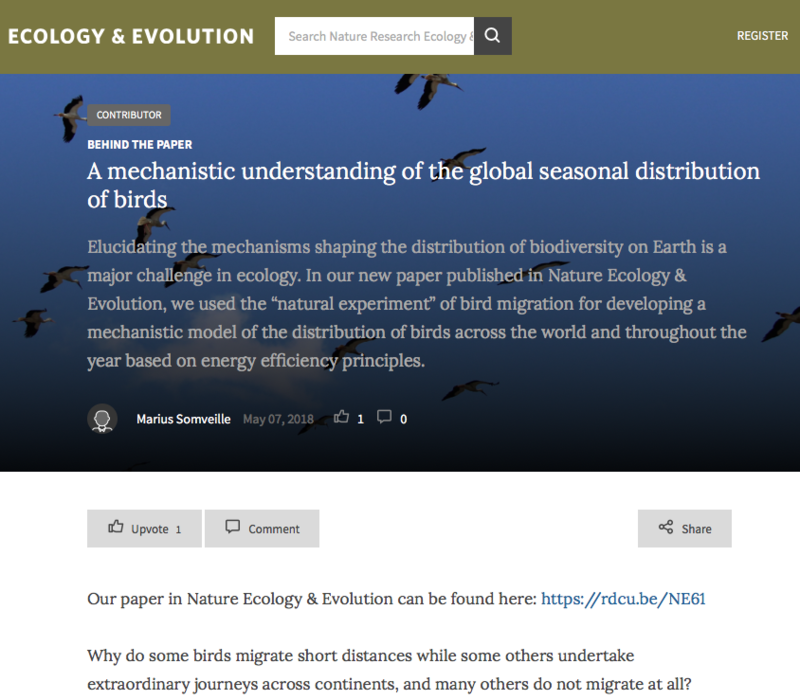 Somveille M (2016) The global ecology of bird migration: patterns and processes. Frontiers of Biogeography 8:e32694. Somveille M, Marshall K, Gluckman T-L (2016) A global analysis of bird plumage patterns reveals no association between habitat and camouflage. 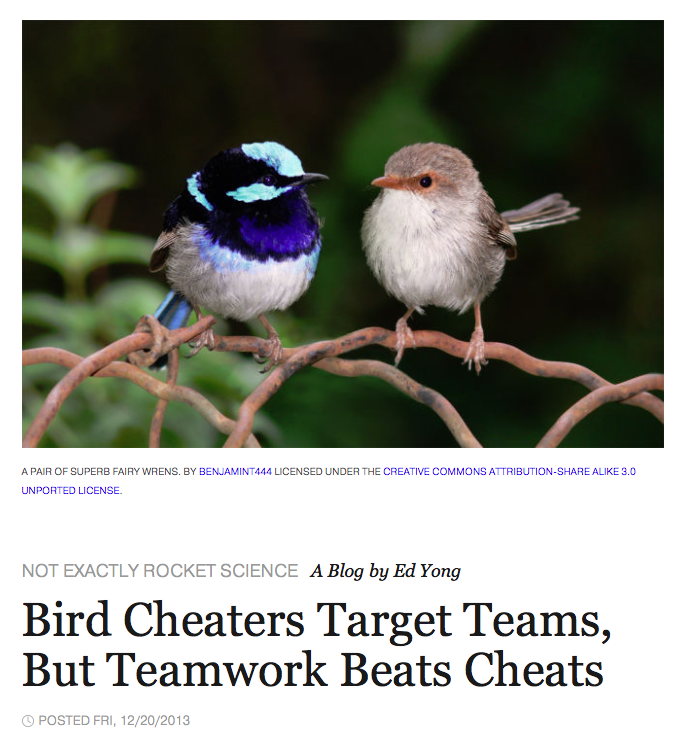 PeerJ 4:2658. 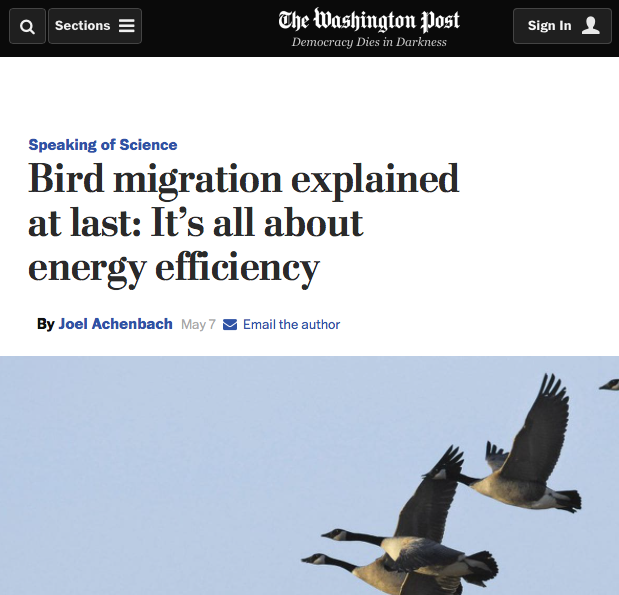 Somveille M, Rodrigues ASL, Manica A (2015) Why do birds migrate? A macroecological perspective. Global Ecology and Biogeography 24: 664-674. Feeney WE, Medina I, Somveille M, et al. 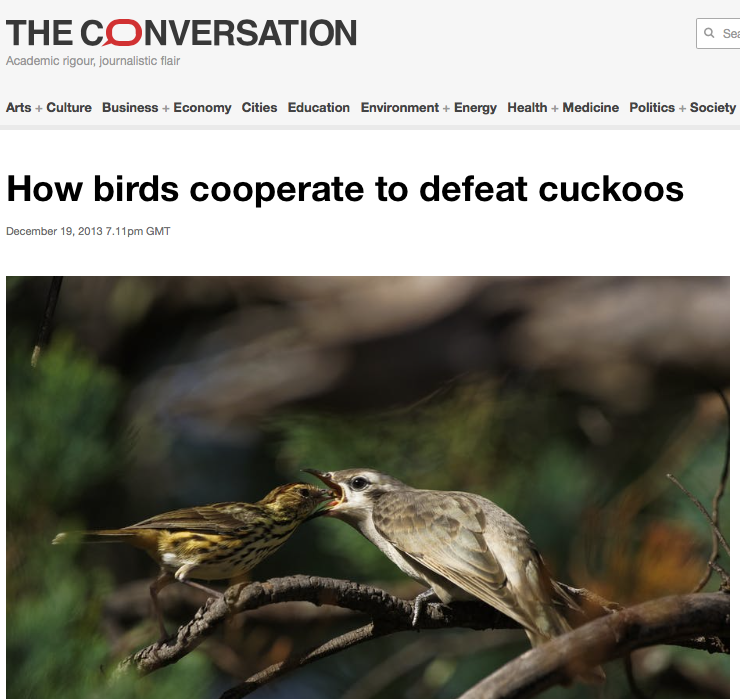 (2013) Brood parasitism and the evolution of cooperative breeding in birds. Science 342(6165): 1506-1508. Somveille M, Manica A, Butchart SHM, Rodrigues ASL (2013) Mapping global diversity patterns for migratory birds. PLoS ONE 8: e70907.